The popular device handler code for the Nest thermostat has extra US features that the UK Nest doesn’t have after a few weeks of using said code and trying to modify it myself and failing, today I finally found code that someone has take the US stuff out completely. 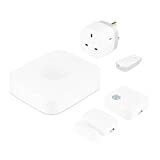 Set the Nest Home & Away modes the same time as SmartThings this means Nests own Auto-Way feature becomes useless (And might as-well be disabled) but your be saving more money as the Nest will be set to the right mode quicker. 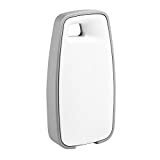 Use extra temperature sensors to help Nest get to the right temperature in the right rooms different times of the day for example use the Nest temperature sensor during the day but at night use the sensor in the bedroom. 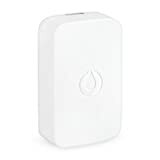 In the future I would love to add Z-Wave TRV valves on all the radiators in the house so SmartThings and Nest will be able to work together to get every room the right temperature. These TRV valves ranges from £30 to 70 pounds each but you don’t need to drain your system to install as long as your current TRV uses the right valves you pop off your current TRV and install the Z-Wave one. Currently there doesn’t appear to be any device handler code for the TRV’s available in the UK so its I either wait till someone does or I buy one and try myself. Can be accessed and changed in SmartTiles.click (More about SmartTiles Soon). Use SmartApps Example door or window left open for X minutes turn of heating till closed. Click on the new device to see the details. To find your serial number, login to http://home.nest.com. Click on the thermostat you want to control. Under settings, go to Technical Info. Your serial number is the second item. Open SmartThings mobile app and locate “Pollster” SmartApp in the “My Apps” section of the Marketplace. 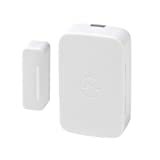 Open SmartThings mobile app and locate “Change Nest Mode” SmartApp in the “My Apps” section of the Marketplace.